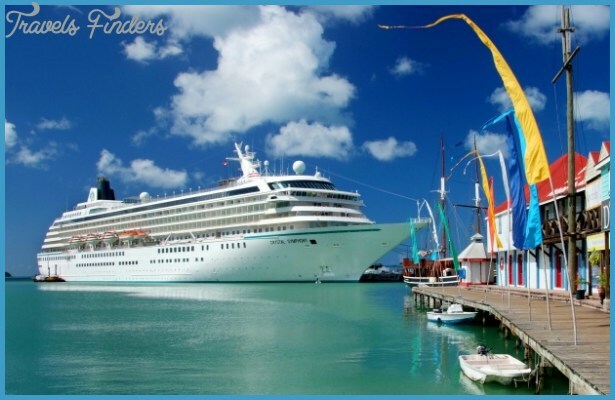 Service: Thanks to one of the highest staff-to-guest ratio in the biz, Crystal has some of the finest service of any cruise line, attentive without being intrusive, and polished without feeling stuffy. Best Japanese Food at Sea: The onboard sushi bars were developed by Food Network’s Iron Chef Nobu Matsuhisa, of the famed Nobu restaurant. Nearly All-Inclusive: Drinks, tips, and even airfare are included. Fitness Choices: There are many on these ships, from well-supplied gyms, to loaner Nordic walking poles, and more. Cabins: These may be luxury ships, but onboard digs in the lower categories are significantly smaller than what you’ll find on the other swank lines. 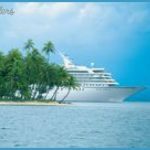 Big Ships: More of a quantifier than a con, these are some of the largest luxury ships out there, and as such lack the level of intimacy found on smaller luxury vessels. In the company’s history, introducing new luxury air charter services, hybrid expedition-luxury megayachts, and the company’s first-ever European river cruises all between now and 2018. Stylish and upbeat, Crystal provides top-shelf service and cuisine on ships large enough to have lots of outdoor deck space, generous fitness facilities, tons of activities, multiple restaurants, and more than half a dozen bars and entertainment venues. For those with money to burn, you can now fly to your destination on one of the company’s Bombardier Business Jets, or eventually the line’s very own Boeing 787 Dreamliner. With Crystal, nothing is too luxe. Crystal is constantly expanding its footprint around the globe; that’s particularly true for its around-the-world cruise. That being said, Europe remains a dominant region for its ships during the summer months, with winters spent in South America and the Caribbean. In the summer of 2016, Crystal made the somewhat-controversial decision to transit the (until recently) ice-choked Northwest Passage. Despite the high cost some suites went for well over one hundred thousand dollars the voyage sold out in record time. Crystal’s ships are generally populated with empty nesters and retirees, though during holidays and school breaks you may also see families with children, often with a nanny in tow. Guests are well-educated and well-off, and don’t mind showing off their wealth. That means people do dress up for meals, and tend to look quite put-together during the day. However, they’re also bright and congenial so if you can walk the walk and talk the talk, you’re in the club. 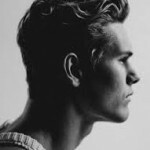 Service by the team of ultraprofessional, gracious, waiters is excellent. In the main dining room and to a somewhat lesser degree in the alternative restaurants table settings are lavish and include heavy leaded crystal and fine flatware. The line makes use of unusual ingredients and cutting edge cooking techniques, as well as offering traditional menus for the steak-and-potato set. The Italian restaurant, Prego, is led by Beverly Hill’s chef Piero Selvaggio. Highlights here include the mushroom soup and the lobster poached in olive oil, as well as the veal scaloppini and, for dessert, the affogato and mocha budino. On some sea days, Crystal displays dramatic buffets on the Lido Deck, usually with a theme, such as Asian fare (which the line excels at) or seafood. On sunny days, most guests are by the pool or in the gym or spa, except for when there are lectures by notables or dance or golf lessons. On rainy days, the casino becomes more crowded, and you’ll find both classic films and current flicks in the movie theater, where hot popcorn is served. Crystal’s ships have a small, basic playroom, and (except for on holidays and busy summer weeks) the line does not staff the space. There is also a teen space, and in-cabin babysitting can be arranged in advance for a fee. In addition to live music around the ship, the line has a partnership with Magic Castle to offer superb magic shows on board. Crystal also puts on small-scale, if tasteful, stage shows and has a tiny jewel-box-like nightclub with Bisazza mosaics and Philippe Starck bar stools. Most Crystal voyages feature Crystal’s Visions Enrichment Program, which curates a host of special guest speakers and lecturers for each voyage, while the Crystal Cruises Creative Learning series features experts in disciplines like filmmaking, art, wellness and computer classes to share their skills with guests on select voyages. The onboard service, from the wait staff to the cabin stewards and even the pool butlers, is often said to be the best at sea, and I don’t think that’s hyperbole. Crew members go beyond their responsibilities to make guests feel tended to, stepping in to tie a bow tie on a formal night, bring a surprise breakfast to celebrate a birthday, or solve a problem. On every sailing, there are also Gentleman Hosts to dinner companions and a dance partner. A two-ship line for decades, Crystal now has three ships, with more on the way. 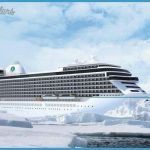 Crystal Symphony, which carries 922 passengers and had a $15-million-dollar redesign in 2012 is the classic favorite, and Crystal Serenity, which carries 1,070 passengers and went through a $17-million-dollar redesign in 2013, is the line’s largest vessel. In 2015, Crystal introduced Crystal Esprit, a nimble, 62-guest luxury expedition ship that even comes with its own two-person submersible craft (submarine) on board. 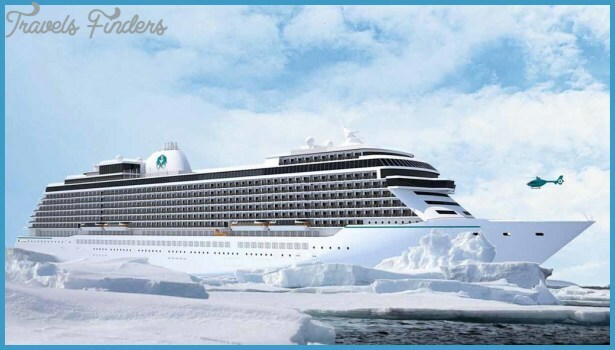 The largest ship in the Crystal fleet, Crystal Serenity is a modern take on the luxury cruise, offering an elegant cruise experience with a huge array of onboard amenities. 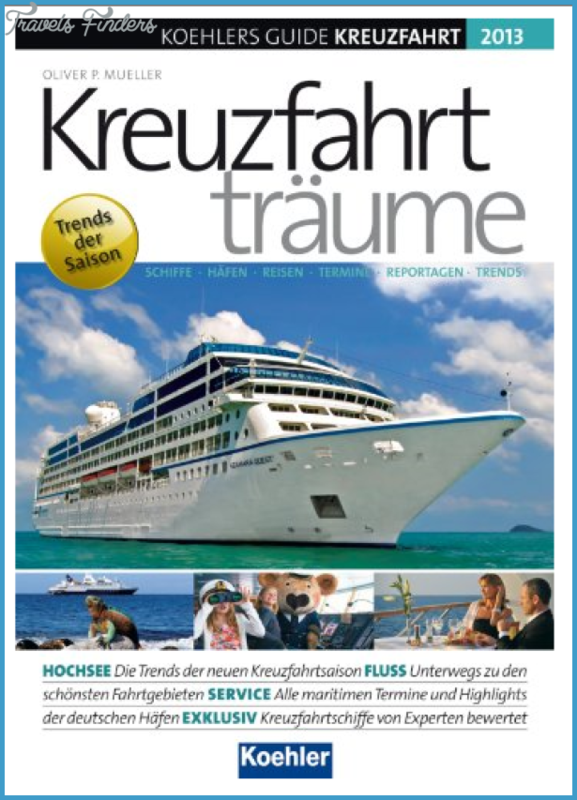 Built in 2003 but substantially refitted numerous times since then, the 1,070-guest Crystal Serenity is 38% bigger than fleetmate Crystal Symphony, but carries just 15% more guests. Everything about the ship screams luxury, from her lovely public rooms and suites to her wide-open decks (created by insetting the lifeboats into her hull). There’s no crowding anywhere. After over a decade in service, she continues to sparkle like new. Cabins Standard staterooms aboard Crystal Serenity are larger, on average, than those aboard Crystal Symphony, with bigger bathrooms and deeper balconies. But at an average of 226 square feet, they’re still a bit snug for a luxury line. Nearly all feature private balconies, and those that don’t have oceanview windows. A series of refits between 2011 and 2013 added entirely new decor to all staterooms and suites, giving them a crisp, chic look, with black or white tufted leather headboards, boldly patterned carpeting, excellent lighting, and an overall contemporary look. Bathrooms are attractive but on the small side for a luxury line. Of 535 cabins on board, a full 100 are designated as suites, the largest of which the Crystal Penthouses comes with a guest bathroom, a master bathroom with heated marble flooring and a Duravit spa floatation tub with an oceanview, two walk-in closets, and a private workout area. Eight staterooms are designated as wheelchair-accessible, and only a handful of rooms feature third-and-fourth-berth capacity. Public areas & activities All of the amenities of a big ship are on board, but public spaces are laid out in such flow-friendly fashion that it feels like you’re on a much smaller ship. For the best views, we always gravitate toward the Sunset Bar, situated forward of the serene Palm Court, overlooking the bow. The Avenue Saloon is pretty darn nice, too, as are the Connoisseur Club and the Stardust Club, where nightly entertainment is on offer. Bigger productions are featured in the elegant Galaxy Lounge Showroom. The small Pulse Nightclub is popular with those who want to dance the night away. The ship has two pools, one of which is covered with a retractable dome for rainy weather. Active diversions available include table tennis, a putting green, and a well-equipped fitness center. Trainers can set up guests with two onboard specialty fitness programs: Nordic walking (poles to help those with balance issues get an aerobic workout) and walkvests (water-filled vests that exercisers can wear to make their workouts more intense). On the relaxation side, the Crystal Spa is a real stunner. Other notable public areas include a dedicated cinema known as the Hollywood Theatre, a library, a massive computer center known as the Computer University @Sea, and even a separate lounge for games of bridge. Dining The Crystal Dining Room serves as the ship’s formal dining room, with two seatings at assigned tables each evening. Decor is effortlessly swank, a rich mixture of crimson and black chairs, dark oak columns, and a circular ceiling with inset murals anchored by a central chandelier. Cuisine is unusually creative, sometimes in the molecular gastronomy category (think foams, smoky containers, and other culinary magic tricks). Traditionalists can get more straightforward meals, always made with superfresh ingredients. These are some of the best meals we’ve had on any ship. 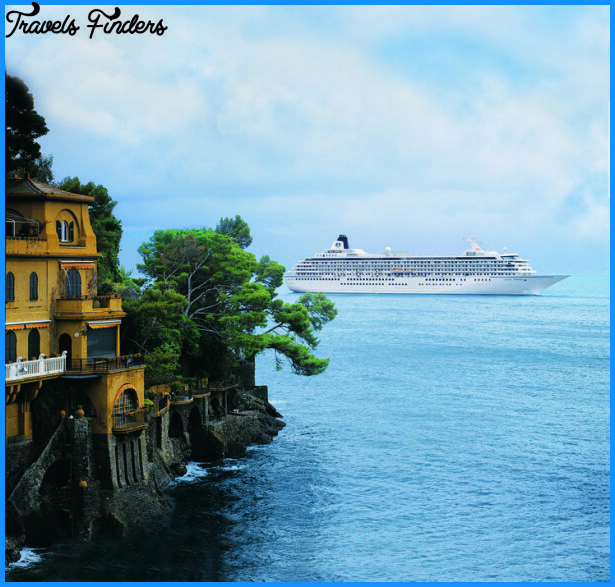 Crystal Serenity features two very impressive alternative dining venues: Prego, which specializes in Northern Italian fare, and Silk Road and the Sushi Bar, overseen by celebrity chef Nobu Matsuhisa. Both eateries are reservation-only, and your first visit to both is complimentary (additional visits are $30 per person). We suggest making online reservations well in advance. Casual fare is offered at the Lido Cafe, but even this buffet is pretty spectacular, with made-to-order omelets and pastas, plus a rotating selection of dishes from around the globe (the theme switches daily to keep things interesting). Also located on the Lido Deck is Tastes, which serves up breakfast and small plates for lunch and dinner under the retractable dome of the Neptune Pool. Reservations are required for dinner. Still hungry? There’s fast food poolside at the Trident Grill, snacks at The Bistro and an absolutely massive room service menu (24 hours a day). 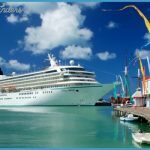 Crystal Symphony Few ships over two decades old have aged as well as Crystal Symphony, which still provides a graceful, sophisticated cruise experience with all the accouterments of a much bigger ship. You’d never know Crystal Symphony entered service back in 1995. Crystal has kept this gem sparkling with numerous refits over the intervening decades. With just 922 guests on board, she’s also one of the most spacious ships we’ve ever been on you’ll never have problems finding a seat in your favorite bar, even when she’s sailing full. Her staterooms aren’t quite as big as her luxury counterparts, but she makes up for it with an array of inviting public rooms, lounges, and dining options that the little guys just can’t match. Cabins Although standard cabins are about 30% smaller than those found aboard competing luxury lines like Regent and Silversea, there’s nothing else to complain about with these 202-square foot entry-level staterooms. Done up in elegant shades of rose and cream and with blond woods, deluxe staterooms now boast smart-looking leather sofas in the seating area, replacing the former armchairs. Move up one category to the veranda stateroom and you get your own private balcony. Deck 10 is suite country. Penthouse with veranda suites include a large living area and a bathroom with a full Jacuzzi tub, as well as round-the-clock butler service. The biggest suites in this category feature living rooms with walnut accents, Swarovski crystal chandeliers, and floor-to-ceiling windows, among other niceties. 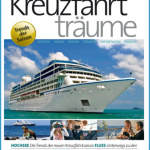 There are five wheelchair-accessible cabins on board, and all staterooms and suites feature ocean views. It’s worth noting that Category E staterooms on Decks 7 and 8 have views obstructed by the ship’s lifeboats. To make a grand entrance, thanks to a sweeping staircase, dazzling waterfall, and a ring of boutiques. The handsome Crystal Cove is a good spot to relax amid walnut wood and brass-on-blue barstools. Elaborate productions take the stage at the Galaxy Lounge Showroom, but in keeping with Crystal’s luxury vibe, the place feels more like a classy supper club than a cavernous theater. The Starlite Lounge on Deck 6 is the place to be for cocktails, live music, and dancing. Those looking for the best view in the house will want to make their way to Deck 11’s Palm Court overlooking the bow. Other fun diversions include a decently sized casino, a cinema, the posh Avenue Saloon, and the Computer University @Sea. The Seahorse Pool, located on Lido Deck 11, is nearly 40 feet long; adjacent to it is a Jacuzzi and plenty of seating. The pool deck is rarely crowded, and loungers are placed a good distance apart from one another. Up on Deck 12, the Steiner-run Crystal Spa offers salon and spa treatments along the port side of the ship, with a spacious fitness center situated on the starboard side. Out on deck, walkers and joggers will love the wraparound teak Promenade Deck that encircles the ship on Deck 7. A putting green, golf driving nets, and a tennis court are on Deck 12, while a small selection of outdoor fitness equipment is located all the way aft, overlooking the ship’s wake. Dining Dining is an event aboard Crystal Serenity. Cuisine and service are of a very high quality that only seems to improve each year. The ship’s main dining room, down on Deck 5, is as elegant as ever, with vibrant multicolored carpeting and stylish, lantern-style shaded light fixtures that hang attractively over tables. There are plenty of tables for two (by the windows, no less), and spacing is so generous you’d have to really try to bump chairs with your neighboring tables (and you’d likely fail). The ship also features two reservations-only specialty restaurants that are available to guests once per voyage (subsequent visits require a $30-per-person charge). Prego focuses on Italian cuisine while Silk Road and the Sushi Bar serve up Asian cuisine from acclaimed chef Nobu Matsuhisa. Wine lovers will want to camp out in The Vintage Room, a boardroom-style venue that promotes wine education (and enjoyment) with private dinners hosted by the ship’s head sommelier. Reservations (in advance of your sailing date) are necessary. Crystal excels in the casual buffet department: The indoor/outdoor Lido Cafe offers one of the widest selections of food we’ve seen aboard a ship. The Bistro Cafe, meanwhile, serves up European-style coffees and lite-bites, while the Trident Bar & Grill is the place for poolside burgers and wraps. Crystal Esprit A scaled-down version of Crystal Serenity and Symphony, this small yachtlike ship goes where her big sisters can’t. Esprit entered service for Crystal in 2015 after a massive refurbishment that added the same elegant look and luxurious amenities found on the line’s larger ships. With just 62 guests on board, Esprit is half yacht, half expedition ship. 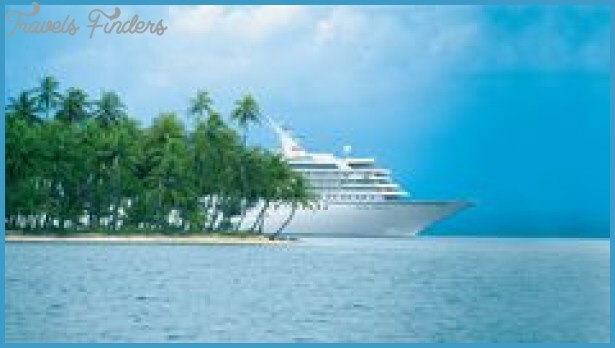 Excursions tend to be more adventurous than on other Crystal cruises: Inflatable Zodiac rafts tender guests ashore in some of the world’s most remote places, and a state-of-the-art deep-sea submersible (a cruising-world first) can carry two guests at a time on undersea explorations up to a thousand feet deep. Hiking and cycling are common, and guests that elect to stay on board can often swim, snorkel, kayak, or paddleboard off the ship’s stern, thanks to a retractable marina platform One big drawback: Those with mobility issues will find that Crystal Esprit isn’t a good fit. In addition to the more active nature of shore excursions, the ship lacks a passenger elevator. 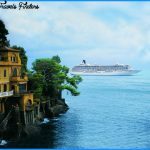 Crystal Esprit winters in the Seychelles and the Middle East, and typically spends her summers in the warm waters of the Mediterranean on voyages that sail between Venice, Italy and Dubrovnik, Croatia. Cabins There are two basic cabin categories aboard Esprit: Owner’s Suites and Yacht Suites. Of these, Yacht Suites are what most guests will find themselves staying in. Encompassing Categories S1-4, these rooms are all 280 square feet apiece, except for Category S4, which are smaller at 223 square feet. All of the luxe amenities Crystal is known for are present: the flatscreen high-definition 42-inch TV inset into the wall, the bedside iPad that functions as an alarm clock and digital guide to the ship, ETRO bath amenities, and butler service throughout. You even get tiny bottles of complimentary sunscreen and insect repellent in case you forgot your own. There’s only one Owner’s Suite on board Crystal Esprit, and it sells out fast. An attractive stone threshold separates the living and sleeping areas, while ceilings feature crown molding and walls with high-end wood grain and millwork throughout. The master bathroom the biggest on board has a separate shower and toilet area, an oversized soaker tub, a TV inset into the mirror, and a Toto Washlet toilet with a heated seat and other features. Public areas & activities Esprit ‘s public areas aren’t as numerous or elaborate as those on her larger fleetmates, but they are every bit as serene. During the day and night, most guests will gravitate to The Cove, an elegant forward-facing lounge done in shades of white and grey and accented with vibrant teal and navy pillows on oh-so-comfortable chairs. An aft-facing bar serves up cocktails in a covered space with Scandinavian-style lounges and couches. When weather and itinerary allow, films are shown on deck. With so much to do ashore, most time aboard the yacht is spent relaxing. Still, Sunset Deck 5 is home to a forward-facing swimming pool and, further aft, a small but functional sauna and fitness center. A better bet for keeping fit, though, is to take one of the complimentary kayaks, water skis, or jet skis out for a spin off the retractable marina platform at the stern. Dining A huge emphasis is placed on high-quality cuisine here. There aren’t a lot of dining venues, but you’re unlikely to leave the table disappointed. The Yacht Club Restaurant, done up in shades of navy blue and cool grey with eye-catching wall sconces and recessed ceiling lighting, has an open-design kitchen a rarity aboard cruise ships, and a fun opportunity to watch chefs work their magic. Menus are four or five courses, and you can mix and match among the two (options change daily). Breakfast and lunch are served on the indoor/outdoor Patio, and encompass both buffet and cooked-to-order dishes. Casual snacks are available at the Pantry; room service is also available.